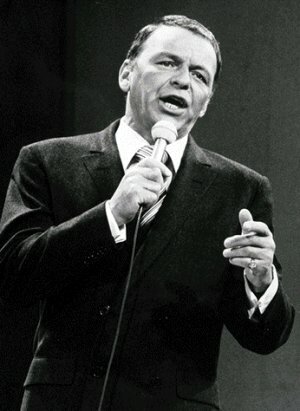 Facing considerable indifference shortly after the announcement of has-been Barbra Streisand as a headliner, Reed Exhibitions announced that they had disinterred Frank Sinatra’s corpse to replace Streisand as BookExpo America’s opening night act. Sinatra, who has been dead since 1998, will be asked to perform a series of rousing numbers to awaken the increasingly dwindling booksellers and publishers who will be attending this year’s event. It is not yet known precisely how Sinatra will perform before this crowd, given that Sinatra has spent the past twelve years being chewed on by the maggots. But an expert team of touchup artists has been recruited to make Ol’ Blue Eyes look a little less like a corpse. But efforts to clear out the stench of death on Sinatra’s corpse haven’t started yet. Fensterman’s audacious publicity move has attracted hostility from the Sinatra family, who have expressed a strong desire not to undergo a second round of bereavement. Nancy Sinatra has entered negotiations with Reed, offering to perform a version of her famous song called “These Books Were Made for Reading,” in an effort to keep BEA’s opening night tasteful.